Wh ile I’m busy talking, two friends will be sending their new books out into the world this month. 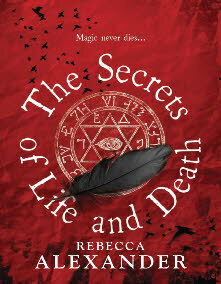 Good luck to Rebecca Alexander, whose debut THE SECRETS OF LIFE AND DEATH has just been launched by Del Rey. My copy hasn’t arrived yet but I’ve read some of the early chapters of the book that Rebecca’s working on at the moment, and they’re gripping. Alison Morton’s PERFIDITAS comes out today – the sequel to INCEPTIO. What would have happened if Rome had never fallen? Well, Latin homework would have been a whole lot easier. And we’d never have heard of Edward Gibbon. But that’s my take on it, not Alison’s. Hers is far more creative. 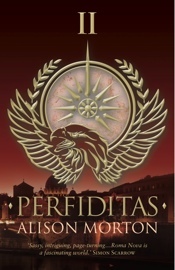 Find out more – including what Simon Scarrow and Sue Cook say about PERFIDITAS – here. Previous PostEvents, dear boy,* eventsNext PostWhat a weekend!